Re-Newing the World in the Flesh in the School of Now. 'The future is not ours to colonise; it is loaned to us by our grandchildren’. to reach and maintain their full genetic potential." --Gilbert, S.G. "Ethical, legal, and social issues: our children's future." Neurotoxicology. 2005;26:521-30. Torres, C. (2013). Political Sociology of Adult Education. Rotterdam: Sense Publishers. 100pgs. Pg 75 (footnote 1) The arts and craft movement of the late 1800’s was a British, Canadian and US movement that drew from the writings of John Ruskin, with its romantic idealisation of the craftsman and opposed the mass production of industrialisation developed in the latter part of the nineteenth century and the beginning of the twentieth century. It was partly a reaction to the perceived growing alienating given the development of the industrial Re3ovlution. The arts and craft movement impacted on the transformation of architecture, unions, adult learning (through the Workers Education Associations, Mechanics Institutes and Schools of arts and crafts) decorative arts, cabinet making crafts and even cottage industries and cottage garden deigns. There is a loose association between the arts and craft movement with religions identities such as the development of the Quakers in the UK and later the Shakers I communities in the US that settled in the Eastern part o the United States and flourished in the late nineteenth century until the Great Depression and were finally all but extinct by WW2. In contemporary industrially advanced societies, a great deal of new craftsmanship related to apprenticeship programs is being influenced by this arts and crafts movement of old. Including new developments in permaculture, adobe house building, men’s sheds, intentional communities, earthship architecture, hackers and makers, and artificering movements. These programs fall squarely within the historical arts and crafts movement and thence adult learning education programs yet remarkably this lineage is all but forgotten in these (re)new(ed) craftsmanship programs. (adapted PW 08-2013). Bush Mechanics: tool-hand knowledge; six key principles comprise the 'bushy' logic base. The Australian Bushy or Artificer has developed a unique way of learning and innovating. designed to improve the human condition generally over an extended time period of at least a decade. Formerly the Australian facilitator for the Millennium project of the United Nations University, Paul has extensive experience and publications in community and regional economic development. He has Australian Labour Market Program experience in Tonga, India and Malaysia and his personal interests include Local Economic Development, Men's Issues and Futures Studies. The Millennium Project was founded in 1996 out of the United Nations University and is now an independent non-profit global participatory futures research think tank of futurists, scholars, business planners, and policy makers. Paul is a member of World Futures Studies Federation and a co-director, with his wife in his family company in the area of kids and adults learning through play and action respectively. Hear from the former Australian Chair and learn about the State of the Future. In Australia, "bushy" is the term for those who can act forward wisely and solve problems with what is available while developing innovations in the field that respond to broader needs. A bush mechanic is committed to self reliance and excellence at her task and is not to be confused with a ‘backyard mechanic’ who does shoddy work. And a Bushy can look both ways to the mechanic and the bench and to the bush to find patterns in nature. (as in play). Kids and Adults Learning today is essentially playless, handless and anti-practical. Indeed play has been eliminated even from pre-school curriculum. For me this is the final decay of culture into an amorphous centralised elite controlled Animal Farm. We have to DIY now there is nothing else ‘left’. your children’s social and economic future? What do artificer, bricoleurs, bush mechanics and Bob (or Bobbi) the builder have in common? They relish novel situations. They enjoy applying their ingenuity to problems, working out new approaches using whatever is available. They like putting together bits and pieces of their relevant experience with a dash of innovation. Bushy/Artificers use a design system incorporating trial and error until they have something that works. All of us have a touch of the bush mechanic in us. We know more than we can tell. We are capable of creativity and innovation. We understand that action research works best when most flexible. As action researchers we are used to fine-tuning a project on the run until it works. We see this ‘touch’ today in the Hacker, Maker, Permaculture and Steampunk movements. These skills will be absolutely crucial after the apocalypse of say GFC2 and the worsening of Global War(m)ing and spreading de-industrialisation in so called ‘developed nations’ ie the North. Bush mechanics, although not necessarily inventors are innovators who can ‘bricolage’ things together to make something new that will do the job elegantly, can include folk who have met the above four criteria in for instance the areas of marine innovation, farm implement prototypes (e.g. the ABC Landline program), an eco-village, trail for a local democracy system, likewise for local economic or currency system, indigenous folk who can fix a car from almost nothing. The DVD also includes a deeper look at this way of learning – esp. re Archaic Renaissance, in the series of 6 articles where I explore this with colleague Iona Miller (US). It is designed for everyone who enjoys working with their “bushie within”. The tacit knowledge and skills we all possess are largely underrated. We are often reluctant to use them in our formal working life. This DVD is a resource for these folks and celebrates those skills. Use it to find the section that’s relevant to you and don’t worry about the rest until you need it. And network with your fellow bushies on our weebly site www.bushie.weebly.com and our eZine www.crafters-circle.com gives us a chance to learn from one another how to use and develop them effectively. Wildman, P. (2011). [BMARP11] Archaic Renaissance: Reprising the Bushy ~ the potential emergence of a post-capitalist political class and pedagogy based on experience and transcendence. Zen and the Art•ifice of Ingenuity eBooks1,2&3. Brisbane: The Kalgrove Institute. 230pgs. Contemporary educational and vocational institutions cannot meet the needs of today's complex, uncertain, diverse cultures. ‘This functional structural mismatch in education (action-less conception and concept-less action) with the valorisation of the abstract and pillarization of the practical has emerged over the past 30 years. We need to retrieve and maintain what has worked over the longterm, honing our manual and cognitive skills for each to assist the other in the service of future generations and our planet. This is a radical revisioning and revaluing of educational and vocational alternatives with integrated learning strategies that reunite head hand and heart, learning and doing, artificer and environment, and child and adult learning in what we call life wise learning. 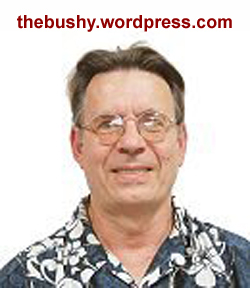 Paul Wildman, Ph.D. describes Bush Mechanics - including the six key principles that comprise the 'bushy' logic base. The Australian Bushy or Artificer has developed a unique way of learning and innovating which deserves more recognition in Australia and internationally, as preparedness movements spread and heritage skills are revived. Stands aside from conventional wisdom and starts from somewhere different, somewhere at once blazingly forward looking and also strongly linked to the past. Somewhere, someone, some process of active innovation which demonstrates in today’s technologised world the unity in thinking and doing. The bushy is prime’I’tive. That is the whole issue with the way our culture and epistemology pejoritises the archaic as primitive and knuckle walking. I use the term to problematise our world view. Primal energy and the archaic and the bushy, including indigenous cultures such as the Aust Aboriginal is deeply spiritual and, for me, calls for ongoing meditation and prayer as to why this is the case and how our culture tends to reduce and eliminates this energy. These folks have learnt how to flow and focus this primal prime’itive energy their chi, their taste of the creative Demiurgic Field that is the Bushy. Our culture derides this but The Bushy is about how to see God’s fingerprints in this energy, how to see the pattern that connects them as they/we become "more fully human". Their energy gives life to and is an expression of Gaia’s life energy. In my view – it is an entre’ to a (disappearing) land that (present day western) time forgot. This land is crucial to our, and Gaia’s, survival. Such modalities and worldviews are essential to integrate, even in more "sophisticated" societies. We need to maintain and preserve and sustain the manual-cognitive connection to our deep creativity. Therefore our exemplars span from indigenous examples to those emerging from academics that aim at keeping vital perceptual and survival skill alive in our global culture. Indigenous folks are mechanics of and in the bush; Westerners are more mechanics in the bush. Integrated learning strategies provide proactive, community based responsive learning enrichment programs and services which enable Kids and Adults as individuals and groups to participate as active citizens towards becoming valued contributors to their community’s social, economic and environmental diversity and development. We can jointly conceive, design and implement with integrity individual and joint exemplar projects that integrate related skill sets for active learning. Our vision is of a just and compassionate world for our children’s children. The archetype of survival and adaptation is grounded in a broad and deep integrated skill set. Joy as in self-realisation is experienced by the Artificer not only because of the realisation of a potential (both for herself and the material she is working with), but also joy is part of the very process of its realisation in the prototype exemplar project and then in the use of the exemplar project. The reward is inherent -- a personal eudemonia, human flourishing, or wider sense of self. By virtue of this widened self, people will engage in ‘beautiful’ actions, not merely dutiful, rote or uncritical ones. together again, re-braiding them in a practical approach to innovation. Ideally the learning that takes place in these practical approaches will be captured in a collection of ‘exemplar projects’, equivalent to the artificer’s ‘master piece’. 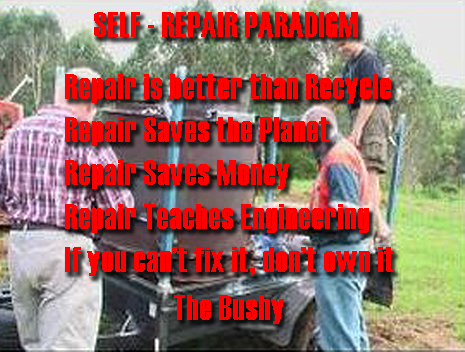 The Bush Mechanic standpoint is rooted firmly in her actions (not intentions, plans, articles or books) – in actual actions towards a better world), towards establishing an ‘exemplar project’ that demonstrates that a better world is possible tomorrow for our children – a future Nature can live with. It is my hope that the concept of bush mechanics will help to demonstrate how such an ancient approach to futuring can help create a better tomorrow today -- a future our children can live with.’ In a society in transition, a world made by hand will be crucial. At the very age when all indigenous cultures ‘teach’ with concrete activities through a mentored/apprenticeship system the "advanced" West abandons ‘hand play’. Active learning is a pathway into initiation for indigenous adolescents – which we in the west have dropped. Emotional development is largely ignored; thus, EQ remains low due to impoverished socialization. Intelligence can be Linguistic, Logical, Musical, Visual, Kinaesthetic, Interpersonal, Intrapersonal, and Naturalistic. which generates form, which generates type (Bush Mechanic). ‘concrete manner that a better world is possible tomorrow for our children’. linking one’s inner ‘I’ and outer ‘that’ realms of being is an exploration, manifestation, reification, even ‘self realisation’. psychological markers such as income, status, time and task etc. flexible strategies, such as the heart in the circulation system of our body. Here we have harmonisation of diversity rather than the centralisation of conformity whereby all the various subsystems involved in the exemplar project, including resources and its use and users, have to fit in the overall ‘pattern language’ ‘D’esign like a ‘golden mean/thread’ together/harmonise/cohere. This could also be called the interface or integral principle. community viz. Life Deep Learning. [makes] our ideas and sensations succeed one another with greater rapidity. Miller, I. and P. Wildman (2012). The Demiurgic Field: It's Patterning Role in Chaos, Creation, and Creativity. 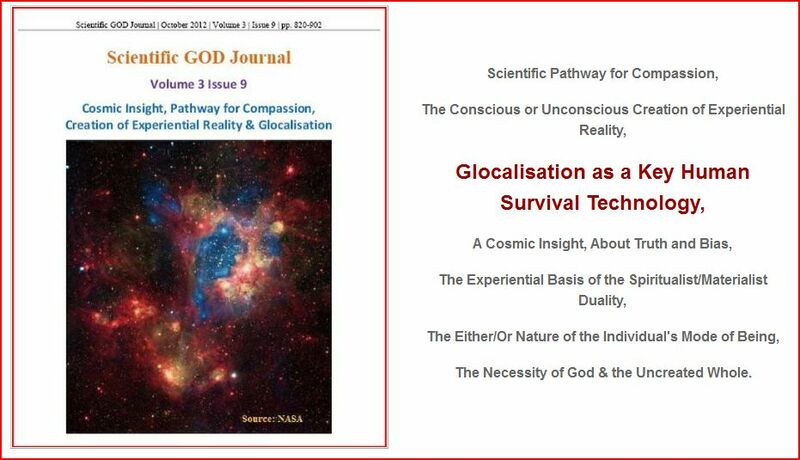 http://scigod.com ; http://www.scribd.com/doc/98802448/Scientific-GOD-Journal-Volume-3-Issue-5-Toward-the-Unification-of-Science-Spirituality . 3(5): pp. 43-70. Miller, I. and P. Wildman (2012). Ancient wisdom in the Modern Age: An Archaic Renaissance. 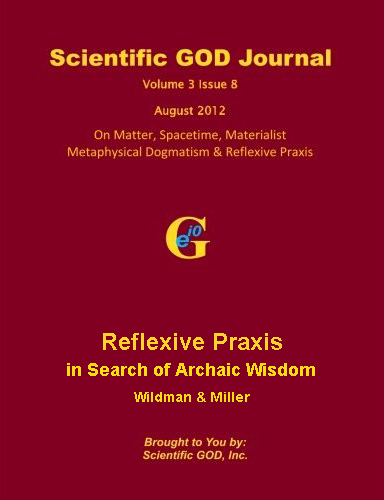 Scientific GOD Journal (SGJ). 3(6). pgs 578-592. Wildman, P. and I. Miller (2012). The Esoteric Thesis: Unspeakable Things & Unknowable Truths. Scientific GOD Journal (SGJ). 3(6). pg.593-605. Wildman, P. and I. Miller (2012). Research by Looking Backwards: Reflexive Praxis in Search of Archaic Wisdom. Scientific GOD Journal (SGJ). 3(8): pgs 971-814.
for growing peaceful futures through an archaic renaissance. Scientific GOD Journal (SGJ). Pre-print. Wildman, P., Socio-Economic Guidance from an Infinite Universe, in Human Science Technology. 2004: Prosperity Press, Brisbane. p. 35. Wildman, P; Miller, I. Artificer Learning through the Demiurgic Field of Dreams. 2004, Prosperity Press: Brisbane. p. 20. Wildman, P. (2011). [BMARP11] Zen and the Art•ifice of Ingenuity eBook3. Archaic Renaissance: Reprising the Bushy ~ a post-capitalist perfomative transhumanist phenomenon whose time has come again. Brisbane: The Kalgrove Institute. 170pgs. In today’s complex and turbulent world it is vital to have futurists who can collaborate on collective projects, focus on action codified in exemplar projects and validate actions towards a better world. Unfortunately current ‘education’ systems focus almost exclusively on the individual learner and have separated the learner from the praxis of the lived life. Classrooms separate the learner from design, production and integration of learning into community life. We argue that overcoming this separation of thinking and doing is one of the key challenges for modernity and in futures in particular. We can create an evolutionary politics to build a more creative future. We can empower ourselves to resist status quo politics and shape ourselves a better destiny - a 21st century Manifest Destiny that fulfills our positive spiritual potential. If we don't want a dark future for humanity, we must reinvent ourselves and our culture from the foundation upwards. Even if that is fantastically radical, it can still happen, one inspired person at a time and cascade toward a visionary approach to large-scale societal transformation that heals personal and global socioeconomical scars. Citizens can learn to implement constructive visions for our collective planetary future. Deep and broad visions can stimulate reflection and lively discussion of contemporary solutions that can become the scaffolding for action plans from the community level upwards. A courageous and truly integrated vision would include a detailed strategy for a vibrant and life-sustaining future. Individually and collectively we have to redefine what it means to thrive with more compassion for others, not just survive. The paradigm needs to switch from "dog eat dog" to "we're all in it together." Futuring includes six synergetic aspects: 1) mapping acceleration, 2) anticipating, 3) timing and 4) deepening the future, 5) creating alternatives to the present and 6) transformation. Aspirational futuring includes environmental scanning, forecasts, scenarios, visions, audacious goals and understanding change and strategic issues (analysis). Trends identify key forces shaping the future. Environmental scanning includes global, local, political, economic, technological, environmental and social trends. Roadmaps help us visualize strategies and collaborative foresight. Paradigms are the assumed truths of our logic. Acceleration is built into the physics of the universe. We propose a negentropic paradigm for the valuecosm and governing principle of ecological development. ‘Edge’ artists as strange attractors are a source of negentropy in society, catalysts of contemporary life. We can draw from the organic metaphors of quantum physics, field theory, and chaos theory to illuminate the state of the arts. We claim the right to use our hands to make, repair and reuse stuff directly relevant to us and our lives, a human right. The concept is a grounded one based on the Australian Bush Mechanic and her many manifestations around the world in the South world, indigenous and intentional communities as well as pockets in the affluent North. We highlight the importance of hand knowledge in our society. This is a lost art now found only in isolated pockets of hobbyists, hackers, rodders and homemakers. Remnants also may be found in conventional society in the Medical and Military areas. For millennia such knowledge provided our ancestors with a practical way of linking the so called sacred and profane that is thinking and doing. Artificers are innovative individuals who look forward wisely and solve collective problems today through applying their ingenuity with what is available, thus integrating thinking, doing and being in what in ancient times was called Poiesis and in Medieval times ‘artificing’ and today can be seen in Action Learning and the Artificer. The Artificer approach to ‘futuring’ creates living breathing examples today of a future our children and grandchildren can live with. Grassroots bottom-up approaches meet top-down approaches in innovative edgeworks -- pioneering projects. Moves from praxis to poiesis i.e. from doing to making and shaping, i.e. action as prototype development, for the general good through a focus on critically informed instrumental action. HOW DO WE RE-CREATE THE WORLD? that gives you tools to make changes in your preparedness, personal life and in your community. • Where do we put our energy, our skills and our passion to work most effectively? HUMAN SURVIVAL TECHNOLOGY: Whether we face imminent social collapse or not, now is the time to re-think our culture, responding with new models, visions, and social experiments. We need to re-consolidate the skills of our forebearers before they are lost. The time for action is now and external events, global world changing events, will at times overtake and drive this process. But a few self-motivated social pioneers will lead the way with transition initiatives and consulting, conflict resolution skills and diversity awareness. Seed enterprises cross pollinate one another boosting community resilience. Local resilience is the root of Glocalization that leads to successful networking efforts and exemplar projects. CRITICAL CULTIVATION: In the late 20th century, every generation throughout history lived with the tacit certainty that there would be generations to follow. Each assumed, without questioning, that its children and children’s children would walk the same earth, under the same sky. Hardships, failures and personal death were contained in the vaster assurance of continuity. That certainty is now lost to us, whatever our politics. That loss, unmeasured and unmeasurable, is the pivotal psychological reality of our time. Technology is turning us into de facto Cyborgs, when what we need is to become more fully human, to fulfill our human potential, including our capacity to live from global compassion. REINHABITING THE BODY: This NEWER Age, a multisense realism and pragmatism of the Anthropological Physical, will be very "hands-on" and "sensible" compared to the now-declining NEW Age which was all about "energy", "spirits", and the online "Chip Body", which self-generates the runaway Android Meme effect, our magically disembodied cyborg culture. Glocality is a counter-trend to H+ Transhumanism. Physical anthropology is a cross-cultural approach to biological science that deals with the adaptations, variability, and evolution of human beings. Because it studies human biology in the context of human culture and behavior, physical anthropology is also a social science. The new environment involves a return from "physical phantoms" to the first-nature body, hand skills and manual dexterity in the problem-solving process. ARTIFICER LEARNING: In just two generations, we have lost an incredible amount of knowledge that would help us to survive in the post-oil, less-energy-driven world. Our grandparents know more about making our own clothes, growing our own food, and surviving without a refrigerator than we ever could. One of the keys to the transition initiative is the re-skilling of a generation through Artificer Learning by doing. Retrieval and curation of such heritage skills becomes an important ingredient of innovation. The activism of emerging social entrepreneurs is exploring whether social impact and profit-making can be combined. Incubator participation in exemplar projects with reality-scaled organization is one way to start NOW. GLOCALIZATION proposes both theory and practice for bridging global/local scales in an alternative equitable international system, using a mosaic of committed key actors. The meaning of globally accessible information and economy becomes organised in its local context. Intense local and extensive global interaction is a dynamic that operates in fractally embedded spatial and cultural dimensions to mobilise and interface social and economic interaction at the local, national and transnational levels i.e. glocal, proactively responding to our responsibility to future generations. SOCIAL MOVEMENT: A potential movement, a peace-building activity combining realism and idealism, glocalisation is proposed as a bottom-up view of the complex process of harmonising local and global needs for sustainable futures. It brings globalisation issues down to the human scale, linking committed local and global social actors in a way that shows the global implications of local innovations. The immediate goal of glocalisation's scale-relativity is practical development of pilot projects and best practice scalable and replicable exemplars and policies, not recipes, which can be applied in many if not all areas. We include proposals and concrete initiatives that promote balance of local and global dimensions via information sharing, economics and governance on a global or trans-regional basis. GLOCALITY as proposed here is a peace-building activity of networked intentional communities, even islands of peace, combining realism and idealism. It is a bottom-up view of the complex process of harmonising local and global needs for sustainable futures. It brings globalisation issues down to the human scale and allows this scale to retain its integrity all the way up to the global level. 7. A Physics of Love that ennobles relationships between living entities and enriches our planet leading to a deeper respect for all life and what supports it. This way of being is called 'relatio' where relationships, as a way of knowing, become neg-entropic. Wildman (1996). 3. Call for public acceptance for post-carbon intergenerational planning horizon that extends beyond 2020 to at least 2050, and preferably 2100. 4. Ability to argue for public acceptance of the imperative to innovate and plan in science and art for a post-carbon era. 6. Develop an overall planning system of loosely coupled interfaced off-grid glocal un-geographic places or ‘islands of peace’ for post human habitation. Outline plans to advance social methodologies for participation and technical methodologies for calculating eco-regional carrying capacity, and holistic footprinting in order to inform decision making on structure plans. Outline plans to engage local/global partnerships and collaborations to undertake the research, and indicate the timeline for research completion. Outline action goals to engage educators in all sectors – schools, universities, communities, NGO’s, government agencies and corporations – to facilitate collaboratively the social learning and deliberation on the scale required (so that key players can anticipate the role they will need to play. Convey the known alternative conceptual options for guiding development of the structure plans and provide links to websites that provide developing analyses and discussion forums around each of the options. · Timing the future, understanding the grand patterns of change, macrohistory and macrofutures. · Transforming the present and creating the future through visioning, whole system glocal design studios, backcasting, action learning and the transcend conflict preemption and resolution methods. (Wildman (2003, 2004, 2012), Inayatullah (1998). but to imagine survivors and continued life. How can we give survival a head-start? in isolated communities around the world during rebuilding over many generations. Epiprecaution is precautionary assessment used as a tool for ethical implementation. The Bush Mechanic and the Prepper share many qualities. Both rely on applying old skills and heritage knowledge as an integral part of a self-reliant lifestyle. But is the Prepper community just another 'outsider' segment exploited by a new commercialism? Survivalism is a movement of individuals or groups (called survivalists or preppers) who are actively preparing for emergencies as well as possible disruptions in social or political order, on scales ranging from local to international. Survivalists often have emergency medical and self-defence training, stockpile food and water, prepare for self-sufficiency, and build structures that will help them survive or "disappear" (e.g. a survival retreat or underground shelter). Prepper (noun): An individual or group that prepares or makes preparations in advance of, or prior to, any change in normal circumstances or lifestyle without significant reliance on other persons (i.e., being self-reliant), or without substantial assistance from outside resources (govt., etc.) in order to minimize the effects of that change on their current lifestyle. Preppers revive and retrieve manual skills and practical knowledge of by-gone eras in their quest for self-sufficiency. Preparedness and survival skills include hunting, gathering, growing, alternative housing, health, and energy, etc. In hard times there is no time to waste. The prototype of the American Bush Mechanic is McGyver, whose main asset is his practical application of scientific knowledge and inventive use of common items – along with his ever-present Swiss Army Knife. MacGyver implemented clever solutions to seemingly unsolvable problems often in life-or-death situations requiring him to improvise complex devices with applied science in a matter of minutes. All of MacGyver's exploits and jury-rigging from household items and chemistry were allegedly based on scientific principles. Such solutions are now referred to as "MacGyverisms". MacGyver has become a verb for solving a practical problem with what is at hand, as in "The car broke down but he MacGyvered a fix to get home". The character's ability to use everyday objects to perform extraordinary feats is widely referenced. MacGyver employed his resourcefulness and his knowledge of chemistry, physics, technology, and outdoorsmanship to resolve what are often life-or-death crises. He creates inventions from simple items to solve these problems, making the impossible possible. 1. Freedom from market manipulation – The traditional market-driven investment vehicles are more and more obviously controlled by traders and banking institutions. Private banking and a decade full of Ponzi-type schemes has crushed the economy. Now, the institutionalized looting of retirement money is being planned. 2. Hedging against inflation – Have you noticed the price of goods lately? Even Wal-Mart is silently raising its prices. People might have a choice whether or not to buy stocks or gold, but people have to eat — the current increases in basic goods portend hyperinflation, and will not ease anytime soon. Food shortages could make the problem exponentially worse. 3. Increasing health and wellness - It has now been revealed that some “organic” items have been falsely labeled. In addition, a host of “GMO-free” brands have been exposed as deceptive. GMO food lacks the nutritional value of what can be grown in the average backyard. GMO mega-corporation. It is time that we do the work ourselves. 4. Building community strength – We constantly hear people say, “I don’t even see my neighbors, let alone know anything about them.” Of course not: 80-hour work weeks and grabbing meals-to-go doesn’t exactly promote community interaction. With such little time to interact with our immediate community, it is no wonder why many people report feeling disconnected. In these trying times, it is a local community that can offer the best support. 5. Working for yourself – Working hours are increasing, pay is often decreasing, and corporate executives are taking bigger bonuses than ever. This is leading to a prevailing disgust, as people are being forced to admit that they are living lives of near-indentured servitude. Even for those not working in corporations, working for someone else is rarely as satisfying as creating and working for something where every minute you spend is yours alone. 6. Having more free time – We have been taught to believe that life on a farm is arduous sun-up to sun-down drudgery where you collapse at the end of the day. This is not so much the case anymore. Sure, the setup of any farm or self-sufficient endeavor is often time-consuming and laborious, but new technologies and new skills of manufacturing food via permaculture and aquaponics are offering low-cost start up and minimal maintenance, as these techniques serve to create symbiotic systems that are remarkably self-governing. 7. Generating food and energy security – The planet is running out of food and traditional energy. Climate volatility, market forces, GM foods, and rising costs of harvesting and transporting food are all conspiring to create food shortages even in the First World. This trend will not reverse. And our oil-soaked way of life is being threatened by mounting evidence that the oil lifeline could be disconnecting rather soon. We should be looking to the air, sun, geothermal, and wave power to wean us from the energy grid. 8. Acquiring an appreciation for life – As one gets closer to life-giving forces, there is a natural appreciation for how things come into being. When you have created your garden, toiled there, selected the best for harvest, and have prepared that food for your family and community, the significance of what you have taken part in can be transformative. 9. Restoring balance – Nearly everything in our society is at a peak, or is drastically out of balance. The systems and governments to which we have looked for balance restoration are missing in action. We must take it upon ourselves to restore our own financial and environmental balance sheet. The best way to do that is to reduce our overconsumption. 10. Becoming a producer, not a consumer – This is the best way to reduce your cost of living and increase your self-sufficiency. In the U.S. over 70% of the economy is based on people buying things. This is a clear sign of imbalance and, by extension, it is not sustainable. Furthermore, we also have seen corporations race to the bottom to find low-cost production on the backs of desperate people. The exploitation of the Third World to clothe, feed, and entertain the First World is something that most people do not want to think about, but it is abominable. Again, new technologies are making it easier than ever to produce your own food, and even your own clothes. 1. Reduce your debt: Especially get your credit card debt under control, since it is entirely corrupt. Call your credit card companies and ask for a work out plan similar to what they received from the taxpayer bailout. If they don’t cooperate to your satisfaction, there are some reasons not to pay at all. 2. Reduce your consumption: Evaluate your current budget and determine absolute necessity. Push your comfort level to find areas where you can scale back, and then identify comforts that you’re willing to sacrifice. 3. Reduce energy use: Change light bulbs, have entertainment systems plugged into a splitter that can be shut off completely to reduce phantom charges, etc. Carefully plan shopping trips and other transportation needs. 4. Store energy: Always have back-up propane storage and a large wood pile for a rainy day. Investing in a generator of some kind (even a solar generator) will be money well spent. 5. Invest in food storage: With a falling dollar and rising food prices, why not create a food savings account? Get some good books, dehydrators and vacuum sealers for storage methods. Best storable food items are grains (rice, beans, flour), canned goods, seeds, and some prepackaged items. 6. Produce your own food: Replace your lawn with a garden, fruit trees, and keep chickens. Go on hunting and gathering adventures for nuts, fish, and wild game. Store extra heritage garden seeds! 7. Learn new skills: Surf the Internet, read books, and take courses in practical skills like gardening, cooking with whole foods, canning, preserving, composting, carpentry, alternative energy, natural health and wellness etc. 8. Start a side business: Turn your passion or hobby into a small side business to make some supplemental income. Who knows, it may become your path to full financial independence. 9. Install alternative energy: Start with small installations like a solar hot water system, a solar freezer, a solar attic fan, or a wood stove etc. If you have limited funds, tip-toe your way to independence. 10. Suggest solutions for your community: Start or join a local cooperative for food, products, and services. Engage your local community in discussions to take steps for self-sufficiency. Share your story and build support. Wildman's research over a decade describes the folk phenomenon that in Australia we call the Bush Mechanic or Artificer, known in the US as the Do-It-Yourself-er, Prepper, "McGyver", or ‘astronaut farmer’. Experiential Learning. Artificer Learning is an emergent creative process of learning through shaping. It is not learning through thinking, doing, feeling, undertaking, experiencing, being, etc. It is different from cognitive learning, behavioural learning, emotional learning, action learning, experiential learning, and ontological learning. The vast majority of our education and learning systems are cognitive, i.e., about thinking and writing rather than about shaping and making. Artificer Learning is all about learning by shaping. It is shaping, as when the potter shapes the clay with a certain telos, a clear intention, foreknowledge as well as design of what is to be shaped. The artificer changes the shape in the process of its formation to suit the particular situation. This curriculum derives from the lived life of the student. Solutions emerge from specific contexts. In retrospect, Artificer Learning helps us learn about ourselves by helping us understand what we have shaped: Who and How is it that we have lived this way? The generative matrix for our creativity and social structures helps shape our future and explains our past. Understanding this process can enhance our agency, our ability to make a difference today. Bush mechanics is also about the design inherent in the bush and the mechanisms it uses for its thrival (thriving through surviving). This would make us real ‘bush’ mechanics – working out and with and from, the design and mechanics of the bush – in a word biomimicry. Permaculture it is really about using the design of the bush, as in patterns, systems and symbols in the design of one’s exemplar project, garden etc. That is Permaculture is a form of Bush Mechanics and vice versa. In another sense perma-culture is about stewarding the energy embodied in mechanisms of one’s culture, biological as well as technological, as per bush mechanics through repair and reuse rather than recycling, is another key aspect of perma-culture. KAL Child Care Management - There's nothing better than real people who care! Quality Child Care Centres throughout Brisbane, Queensland. Our individually owned services offer kindy, prep, pre-prep, nursery and toddler care for children of various ages, in many different locations throughout south-east queensland. We're different from the rest because we put attention into having quality staff, a caring and nurturing environment for your family, as well as a structured and well managed support network for staff and parents alike. At KAL, we are constantly trying to find ways to communicate more openly, work more efficiently, and to strive for excellence in everything we do. That's why we are setting up a community forum, so Parents can discuss issues that matter to them, give new ideas, or even use it as a soap box to advertise your own business. We are also working on an exciting e-newsletter which should fill you in on the what's what of the child care world, as well as any changes with CCB, and other important issues. Click here to view experimental video showing how the creativity packet puzzles are used. Art and Craft both have inextinguishable direct involvement in the physical world through empirical reality. Craft and Art are both, to varying extents, simultaneously symbolic and empirical. Dr. Paul Henrickson's CREATIVITY PACKET is an unassembled puzzle set that invites you to try your luck in assembling it to directly experience the creativity and thought processes a less experienced mind would encounter. The human brain is sufficiently adaptable to create order out of apparent chaos IF it is given the manual/visual opportunity to react to stimulus. Words cannot substitute for vision. The term “just enough knowledge to be dangerous” comes immediately to mind with this one. The official description is “a large scale pan and tilt propane Flame Effect” but that hardly does this thing justice. The Anti-Sanecraft ARTillery Cannon is a three-barrel fire cannon that can move around like its namesake and launch massive propane bursts from two 1″ diameter barrels. The third barrel is somewhat special, it is constructed of stronger steel and can be pre-fed with oxygen to create one massive intense propane-O2 mixed fire burst. (5) Hindi Jugaadu – artisan. (6) American – farmer astronaut. Juggad. n. an improvised or jury-rigged solution; inventiveness, ingenuity. Jugaad literally means a work around, which have to be used because of lack of resources and will power. This is a Hindi term also widely used by people speaking other Indian languages, and people of Indian Origin around the word. Jugaado/Jugaadu a person who practices Jugaad [see http://www.jugaadu.com/ ]. 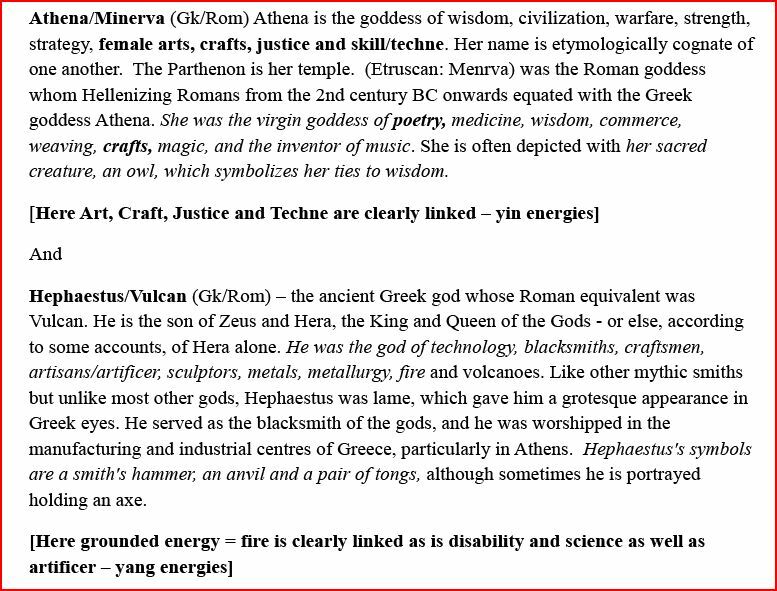 In (8) ancient Greecea word also often used for craftsman was demioergos (public~demios and productive~ergon). (9) Japanese daiku – the carpenter the great among craftsmen he is the master builder and the designer through the use of his carpenters sketch book where ideas, prototypes and experiences are recorded via. Tatami layout (tatami are floor units that link all rooms in a common denominator were originally a mat the size of two men sitting and eventually came to mean the whole floor unit of about 1x2mtrs) sketch of floor plans which is drawn by the family that will live in the home in conjunction with the daiku in order to achieve. Enfilade [old French – to thread a needle - from Sennett (2008:259&263)] The sequence of, interface and flow between, rooms of a house so that one room yields gracefully to another – based on floor plan and door design, generally with a vista down the length of the building viz. Queenslander hallway ~ in all a crucial aspect of architectural design. Other terms: sub-altern, demiurge, practical philosopher, futuring, critical futures praxiser, anticipatory action learner, Prohairesist – Greek for one who chooses ahead wisely– (Bushie extended to acting ahead wisely); one who practices Poietal knowledge ((10) Greek) viz. producing – forming and making and therefore designing - i.e. artificing; Phronesisist – Greek forone who practices wise action, practical wisdom (Bushie actually!!) ethical praxis. Creactivist (Paul Wildman). The (4) Hebrew translation of this is Kenan, which means ‘artificer’, which in an abbreviated form, Cainan or Cain’ which means ‘smith’ and which appears in the Christian bible as the name of Adam’s’ first son. (5) Hindi Jugaadu – artisan. Juggad. n. an improvised or jury-rigged solution; inventiveness, ingenuity. Jugaad literally means a work around, which have to be used because of lack of resources and will power. This is a Hindi term also widely used by people speaking other Indian languages, and people of Indian origin around the word. Jugaado/Jugaadu a person who practices Jugaad [see http://www.jugaadu.com/ ]. L’esprit Accor – is the art of blending skills, of combining traditions of the past with the modern innovation, adding the generosity, discipline, imagination and warmth which can carry our work to a higher level of excellence. L’esprit Accor then is a transforming vision of success. Sauvage - An approach to design that (1) is original, untamed, authentically direct (personally undertaken), uncluttered, and self reliant as it comes forth from Nature; (2) uses common sense to braid thinking and doing in designing bottom up organic structures and systems that facilitate mutual aid and collectively act ahead wisely - translated into English exclusively as brutal and violently negative. PW hugely important word whose essence has been lost in translation as English moves international and French shrinks, I fear the loss will not be recovered. (8) Japanese daiku – the carpenter the great among craftsmen he is the master builder and the designer through the use of his carpenters sketch book where ideas, prototypes and experiences are recorded via. Tatami layout (tatami are floor units that link all rooms in a common denominator were originally a mat the size of two men sitting and eventually came to mean the whole floor unit of about 1x2mtrs) sketch of floor plans which is drawn by the family that will live in the home in conjunction with the daiku in order to achieve Enfilade [old French – to thread a needle - from Sennett (2008:259&263)] The sequence of, interface and flow between, rooms of a house so that one room yields gracefully to another – based on floor plan and door design, generally with a vista down the length of the building viz. Queenslander hallway ~ in all a crucial aspect of architectural design. (9) Greek: Ancient Greecea word also often used for craftsman was demioergos (public ~ demios and productive ~ ergon). viz. producing – forming and making and therefore designing - i.e. artificing; Phronesisist – Greek forone who practices wise action, practical wisdom (Bushie actually!!) ethical praxis. Poietal knowledge - producing, forming and making and therefore designing - i.e. artificing something in the physiosphere interfaced with the noosphere e.g. work of art, building, prototyping, designing (and thus interpreting) etc. Techne or techné, as distinguished from episteme, is etymologically derived from the Greek word τέχνη() which is often translated as craftsmanship, craft, or art – it is the interface between the doer and the done between thinking and doing. It is the rational method involved in producing an object or accomplishing a goal or objective in a way that links the doer and the done. 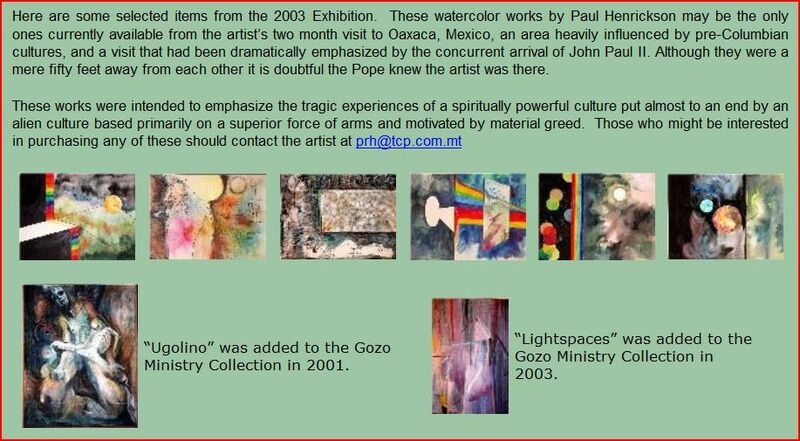 The means of this method is through art/ifice. Techne resembles episteme in the implication of knowledge of principles, although techne differs in that its intent is making or doing, as opposed to ‘disinterested understanding’. In Ion, Plato wrote that techne (in the sense of an art or craft) represented a threat to peace, order and good government for which Reason and Law ‘by common consent have ever been deemed best.’ Aristotle saw it as representative of the imperfection of human imitation of nature. For the ancient Greeks, it signified all the Mechanical Arts including medicine and music. The English aphorism, ‘gentlemen don’t work with their hands,’ is said to have originated in ancient Greece in relation to their cynical view on the arts. Due to this view, it was only fitted for the lower class while the upper class practiced the Liberal Arts of ‘free’ men. Today techne has become technique and has lost its human skill component. (11) Modern English bush mechanic (Australian), artificer, handyman, jack of all trades, shed-a-holic (when googling 10-2008 this one is asked ‘do you mean ‘shopaholic’’ sic. I rest my case!!) Includes elements of Autopoiesis - self organisation wherein the artificer with her techne uses technology to generate autopoiesis – the essence of a living system (this then interfaces with cybernetics and systems theory). (12) Creactivist – someone who actively creates (Paul Wildman). (13) Other related terms: sub-altern, demiurge, practical philosopher, futuring, critical futures praxiser, anticipatory action learner, praxeology, Prohairesist – Greek for one who chooses ahead wisely– (Bushie extended to acting ahead wisely). someday I hope to be. Archaic has more of the flavour beginning or early stages or direct as in Sauvage, Prim’e’itive, Feral or rambunctious, impulsive even reckless and intuitive who draw their strength more directly from their emotions, not as mediated by ‘civilisation’. Thus the sauvage person can be impulsive, wild, undomesticated, unrestrained and thus lacking technique if not techneque, thus deeply needing an apprenticeship/mentorship. So we have the line → Sauvage → chiro → techneque → Civilisation → cogno → technique → Modernity where → cogno drives out chiro → eliminates the Sauvage → decay of the civilisation → (hopefully) re-membering of the Sauvage → Archaic Renaissance → sauvage reprised. Sauvage Archaic however has the advantage of direct, grounded, say and do it as it is, practical, mutual (within tribe), multi-skilled, multi-tasked, intuitive, creactive, emotional and these all contributed to ingenuity, resilience, loyalty, courage and bravery. This latter strength and the focus on chiro that goes with it is the precious gem even the Holy Grail that has been lost in the past 5 millennia. So, in re-membering the west we can go back to the beginning as we go forward and back toward a Modernity Archaic ↔ Renaissance Revival. Whereas Ancient refers mainly as the reverse i.e. something very old i.e. the meaning starts from now and looks back, often pejoratively, whereas Archaic starts from back and looks to now. The term Archaic Renaissance was given to me by Neil McLaughlin in June 2011 and was originated, in the sense it is used in this eBook, as far as we can see by Richard King in Melbourne some years before. Further ancient may be considered to go back to the dawn of ‘civilisation’ say 5000BCE and archaic to the dawn of ‘humanity’ lost in the mists of time. 1. The Chiro → Cogno songline (techne→ techni, hand-made→ head development, or manual dexterity preceded and led mental dexterity) stretching back to Homo Habalis 1.8mybp and further. Today we see this songline in the various modes of Bush Mechanic. 2. The Archaic/Indigenous en-vironed songline that continues No. 1 to this day. This songline is shamanistic and has a strong compact with the Environment. The Shamanic reality sees our everyday reality as only of two realms with the subtle as the second dimension and recognises this in the earth sacraments i.e. the sacramental hosts of earth, fire, water and air. Today this songline is everywhere threatened with military oblivion – collective cultural genocide. Indigenous cultures and languages are everywhere being replaced by patriarchal dominator languages such as English. Intriguingly this songline takes to Bush Mechanics in an exemplar manner showing deep congruence between the two as the same stream of consciousness .Conscousness can be archaic, magical, mythical, mental and the emergent form today – integral, which combines, and yet transcends the other forms. 3. The Western songline whereby for Plato the ultimate achievement for a philosopher was to be able to reflect on heaven’s (sky king type heaven) rim listening to the Gods discourse. Herein lies the emergence of the rupture of thinking and doing of the esoteric and the exoteric of the emergence of duality. This is the songline of the apocalypse. We need to re-engage with 1, and integrate and respect 2, therein as a mirror lifeline while retaining elements of 3, thus transforming 3, a hard ask in today’s world of dependent consumerism, where we as citizens are reduced to a mere receptive organ of the market, a consumer of arbitrarily chosen ideas and styles. A ‘subversity’ recognises that most cutting edge research is now done outside universities, which have tended to degenerate to debt farms and ‘credentialling the status quo’. This alternatives embraces the original Enlightenment vision of rationality which included theatre, imagination, and introspection as well as empiricism. We recognise that learning is not only about ‘things’ or ‘how to fit in’. Today learning is also about four additional issues; activism to change the system, artificer knowledge linking inner and outer knowledges, cultural empowerment. All of these then can all be bound together with a ‘Global Citizens Charter’ which in turn is embedded in ‘planetary consciousness’. While affiliation is accreditation is deliberately not being sought and workshops will use practical projects that are ecologically, socially and individually relevant, theatre and bush settings sprinkled with dialogue, project bee’s and theatre (yes a ‘guide on the side’ and ‘making the stage’ as an alternative to ‘sage on stage’ lecturing) and web based non personal learning through learning circles as experience of participatory democracy as alternatives to centralised curricula based ‘hyperlearning’ yes there are alternatives that embrace the original Renaissance vision of rationality which included theatre, imagination, and introspection as well as empiricism. Affiliation with Homeplanet Virtual University (Mexico), Wisdom University (US) , Barefoot University (India), Learning Enrichment Foundation (Canada), Artificers and Bush Mechanics Guild (Australia) and so forth is being sought. These have been used in the following proposal and design of a Bushy Subversity. Here the Bushy excels in what may be called ‘industrial art’ or ‘rubbish retrieval’, in a sense a well-made kitchen bench-top or shed bench and the ‘creactions’ that come from them speak volumes for this this facet of the Bushy. Not usually considered as ‘art’ the ‘craft’ of the bushy leads to hours of discussion about how the piece was created in relation to the person of the bushy and the needs of the customer. Survival, innovation, and domestic arts are approached creatively. For the Bushy creative expression is vital and a hands on project. Economics: The science that deals with the production, distribution, consumption and management of goods, services and currency. This is the ‘under the radar’ bit of the Bushy. They design their lives to be not only economically independent but also economical autonomous. Generally few traces can be seen of them as far as credit cards, official certificates, business names, loans and much of their trade is local for exchange through local currency and barter. Bushy’s firmly locate themselves in the physical economy (oikonomia) and not the financial economy (chrematistics).Here the Bushy is concerned with the local or better still glocal (global and local) P2P production, distribution, consumption and management of goods and services to an extent moreso than currency. Bushy’s have been left out completely here. Education has shifted to brainiacs – higher ed and voc ed has become behaviourist competency with no creativity or innovation called for. Education actively excludes the bushy and trains out creativity in those who suffer it. 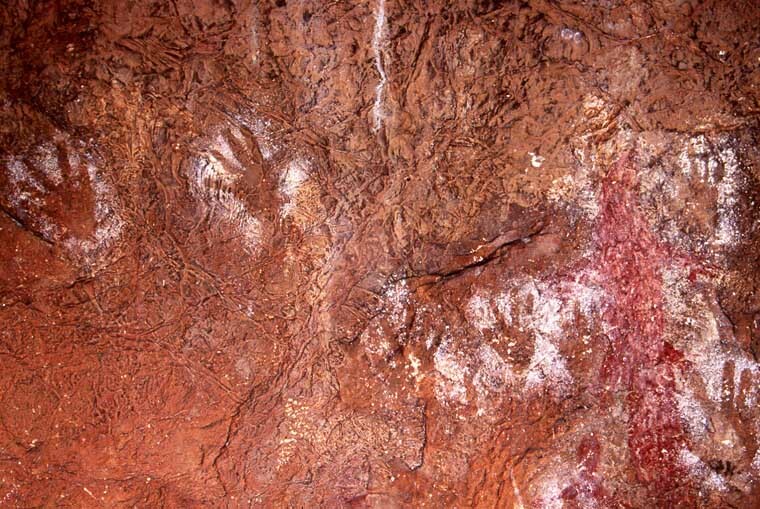 Hand Knowledge and wisdom has been forgotten however it was utterly crucial to our forebears re. the Schools of Arts and Mechanics Institutes of yesteryear are all gone now collapsed into the centralised compliance obsessed behaviourist tick and flick education systems of today.Some educational initiatives are seeking to break free of these shackles http://www.homeplanet.org/hvu/ for one. The Bushy believes that the while the operations of education is about the gathering of knowledge and understanding. The purpose of education has to be about using this to make the world a better place. Bushy collectives may house libraries containing works on survival skills, lost arts and culture, food preservation, etc. and share such knowledge and mastery across communities. At the very age when all indigenous cultures ‘teach’ with concrete activities through a mentored/apprenticeship system the "advanced" West abandons ‘hand play’ so to speak. Active learning is a pathway into initiation for indigenous adolescents – which we in the west have dropped. Emotional development is largely ignored; thus, EQ remains low due to impoverished socialization. Intelligence can be Linguistic, Logical, Musical, Visual, Kinaesthetic, Interpersonal, Intrapersonal, and Naturalistic. Again this is a strong point to the Bushy lore in that in focusing on what is available and repairing and reusing rather than recycling the Bushy lifts an enormous environmental energy burden as it is already embodied in the machinery being repaired and reused. We see recognition of this ‘gap’ in the Transition Town, Permaculture and Survivalist and Prepper movements. Here we find the Bushy working at the interface of the natural world and the wonders that come from that world and striving to reduce the impact of the latter on the former. We believe that Bushy’s will become critical if there is say another GFC or some environmental collapse. We see this in the development of survivalist and prepper type organisations and systems. Good Governance for the Bushy is about community deciding through doing in an exemplar project aimed at the goals listed in this graphic. Health: The vitality, well being and wholeness of a living system. Here we find a key Bushy need. Because Bushy’s tend to be lone long distance voyagers socialisation and health can be found lacking, yet have also contributed to the development of the alternative health systems and complementary medicine practices we find are so popular and successful these days. This also means Self-care and Self-regulation through meditative or other body-regulating practices. Self-care include alternative health, complementary medicine, and traditional healing with herbs and psychosomatic treatments that activate the placebo effect for spontaneous healing. Healthy Living for the Bushy means keeping a ‘hands on’ approach to live and wholeness in our living system. In many ways the bushy exercise her brain through her hands. This is the realm of DIYWWYH – Do It Yourself With What You Have. The Artificer/Bushy/Prepper is able to think across domains and use inter-related skill sets in a unique generalist specialist type manner. This is practical systems integration. For instance a carpenter may be able to build, paint, plumb and do basic electrical work all the time interfacing with the customer in an organic manner. This is not easily captured in traditional contract clauses. A cook may well grow the food, prepare it, cook and eat the food in a social setting all substantial interfaces and points of integration. Public housing and transport are great opportunities for the self-help/community build type Bushy approach to Infrastructure. The Bushy approach to Justice is one of equality before the law and all being entitled to a ‘fair go’. The most famous bushman was a bush-ranger (thief on horseback) called Ned Kelly – he was eventually chased down and hanged but before this he helped the poor (which he himself was) and engaged the rich and powerful in serious critique. He is very well known in Australia and stands for the sort of justice and fair go the all Australians at least give lip service to even if they don’t practice it much these days.One right called for here is the ‘dignity of risk’ and the right to apply ones ingenuity and innovate. This ‘safe fail’ rather than ‘fail safe’ approach is inherent in the Bushy’s modus operandi. Here we see the importance of what is called ‘bush telegraph’, and informal system of P2P informal communication, there is even a program by this name on Australia’s National Broadcaster the ABC. In Australia bush means folk and mechanic means handwerker (gr) so the bushy approach is about folk handworkers and we find them in all walks of life viz. bush-tucker, bush-lawyer, bush-doctor, bush-music, bush-carpenter, bush-cook, bush-wacked/ranger, bushed (lost), bush-pilot etc. Here the Bushy approach is not just another app for one’s smart phone it is rather a methodical approach over say even a 10year period with the input of up to 1000hrs per year to gain proficiency in ones praxis arena. Again the Bushy practices what may be called individual collaboration rather than team work and sometimes they can be somewhat isolated say in a shed, garden, kitchen or sewing room, and this impacts directly on what education and learning methods will suit. Bushy relations are often narrative wrapped around ‘facts’, measurements, projects and observations. Science: The ordering of knowledge by thesis, experiment and conclusions. Hobby scientists feature prominently in the Nobel Prize winners. Bush mechanics are like engineers and chefs and fashion designers who start out in the trenches at the coalface so to speak. Their wisdom is hand wisdom chiro knowledge as grounding for subsequent theoretical knowledge. They are nature’s true inventors using applied ingenuity of the journeyman’s piece now tragically at the fringes, the leading edge where change and innovation happen rather than in centralised hierarchical systems. Previously this was at the centre of village life and indeed relatively medieval villagers built Europe’s first ever incredibly innovative great cathedrals without slavery. For the Bushy science occurs as an extension of craft which is a form of art. So Science-Art pulses within their work. Many times the Bushy acts as a doula i.e. midwifing the re-creation of a useful artefact through skill and ingenuity – after all a bushy is applied ingenuity. Here in a sense a bushy helps Gaia give birth to creations that are of practical use to her children.This is the spirituality of Praxis – the grounded spirituality of hand knowledge becoming life wisdom. This is a sacred calling that built the great cathedrals in Europe now largely forgotten or even lampooned. The Bushy then seeks spirituality as hands on soul. Bushy spirituality shares much in common with traditonal shamanic techniques for welding the tribe together and healing of individuals. Many such techniques have been mainstreamed through Transpersonal Psychology, applied to the full range of contemporary issues. Bushy spirituality is often eclectic, drawing from many traditons for treatments of choice to foster and heal the soul and create community. Bushy’s believe strongly in tradition and that to go forward first you have to go back to use, further Bushy’s are strongly un-commercial. In this sense the have a world view which is quite indigenous and works from praxis out and up. Rather than applying theory they exercise reflections on their praxis and build theory from their practice that is Grounded Theory through what we call Reflexive Praxis. This has been the focus of our (Wildman and Miller) work over the past decade a collaborative international exploration of the Bushy world view. The Bushy worldview is of a ‘hand crafted life’ in the service of an ‘Archaic Renaissance’ where Past informs Present to illuminate potentials for our Future. Today we find ourselves in the era of what may be called ‘total progress’ which has replaced the catch cry from mid the last century of ‘total war’. Can the humble DIY bushy artificer help here? Is there anything left worth saying or doing that will not be co-opted into this total war on nature through this total consumption war we find ourselves in – a process of denaturalisation? The Artificer or Bush mechanic is a re-naturalizer, anchoring herself in the Memetic and Genetic history of our species. The Archaic was basically an off-grid reality, in a day to day sense. That is they generated their own food, power water, sewerage services and general admin. Their grid was essentially social (community and religion). So we have the line → Sauvage → chiro → techneque → Civilisation → cogno → technique → Modernity, where → cogno drives out chiro → eliminates the Sauvage → decay of the civilisation → (hopefully) re-membering of the Sauvage → Archaic Renaissance → sauvage reprised. Sauvage. Archaic however has the advantage of direct, grounded, say and do it as it is, practical, mutual (within tribe), multi-skilled, multi-tasked, intuitive, creactive, emotional and these all contributed to ingenuity, resilience, loyalty, courage and bravery. This latter strength and the focus on chiro that goes with it is the precious gem, even the Holy Grail that has been lost in the past millennia. So, in re-membering the west we can go back to the beginning as we go forward and back toward a Modernity Archaic ↔ Renaissance Revival. Whereas Ancient refers mainly as the reverse i.e. something very old i.e. the meaning starts from now and looks back, often pejoratively, whereas Archaic starts from back and looks to now. (c)2010-2015, Paul Wildman - All Rights Reserved; Educational Purposes Only. Fair Use terms apply. Please, cite Author and URL if you mirror this site.